Think you have a hernia? If you notice a bulge and pain, you might. A hernia can come on gradually with no symptoms—until you notice that bulge. Or, it might strike suddenly with a feeling that something has given way. Ouch! Strain on abdominal muscles leads to a hernia. They’re more common in adults—sometimes a result of wear and tear on the body. Sudden twists, pulls, or muscle strains. Marked gains in weight, which causes an increase in pressure on the abdominal wall. Chronic constipation, which places a strain on the abdomen while using the toilet. Visible bulges in the groin, abdominal wall or scrotum. A feeling of weakness or pressure. A burning feeling at the bulge. 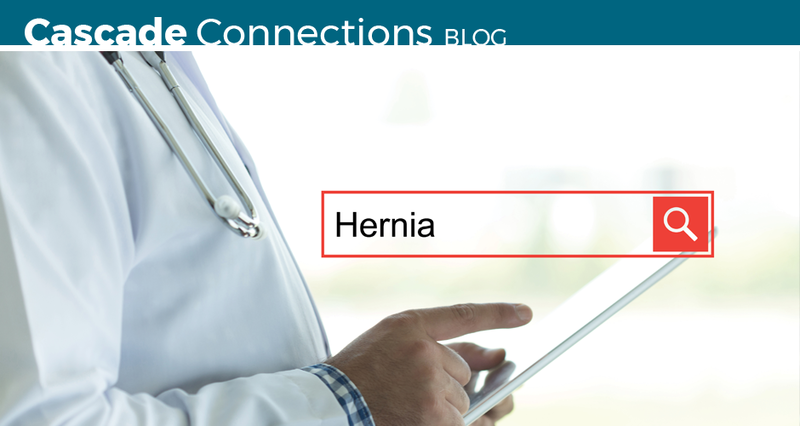 Learn more about hernias. If you think you have a hernia, we can help. Dr Wright can provide surgical solutions for most hernia types, including Inguinal hernias, Ventral hernias, Umbilical hernias, Incisional hernias, Femoral hernias, Epigastric hernias and Hiatal hernias. At Cascade Hernia & Surgical Solutions at Meridian Surgery Center, we employ innovative pain management, helping to avoid the possibility of opioid misuse. We are leaders in using an alternative pain management system—the TENS technology—to minimize your narcotics use after surgery, and the center offers Exparel, a non-narcotic medication for pain management that lasts up to three days after the operation and doesn’t leave your head feeling foggy. We’re here to help and we’re IN NETWORK. Cascade Hernia & Surgical Solutions at Meridian Surgery Center is an ambulatory (outpatient) care setting. We are Medicare certified and meet all Washington State and federal requirements for ambulatory surgical care. Dr. Robert C. Wright opened Cascade Hernia & Surgical Solutions at Meridian Surgery Center in 2001 and expanded at the new location in 2011. We are in network with most major insurance plans and offer convenient solutions for cash customers. Stay connected with Cascade Hernia & Surgical Solutions: Follow us on Facebook. Think you have a hernia? Make an appointment for a consultation today. Call (253) 840-1999. Often, you can get an appointment on the next weekday. Learn more at cascadehernia.com.